Serving the Tri-County area from Palm Beach to Miami for over 30 years now, New Art Gallery is a renowned and well respected frame store and art gallery in Deerfield Beach, FL. 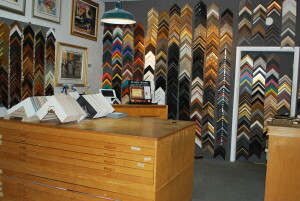 Having been in business since 1976, we pride ourselves in our ability to deliver custom framing projects that exceed all customer expectations. Our professional team helps you design and layout your frames using our knowledge and expertise. We help you protect your most precious works of art and memorabilia using the finest, high-quality framing materials in the industry. Our customers know that they will receive a professional framing job with high-quality craftsmanship, design expertise and knowledge that you can’t find anywhere else! We offer a 100% satisfaction guarantee on our jobs which is why we preach that “Our reputation hangs on your walls!” New Art Gallery also works closely with all schools and organizations of all types including non-profit organizations! Free delivery and hanging are included on all the jobs that we do. Designer discounts are also available. We also sell fine art, custom mirrors and posters which are available for purchase. New Art Gallery also works with your business, offering corporate framing, corporate installations, delivery, hanging services and more. Our Reputation Hangs On Your Walls! Call us today at (954) 481-8855 for a free consultation! Follow us on our Social Media networks for the latest information from New Art Gallery. We are located in the same plaza as Muddy Waters.